Please take time to explore our site, check out our forthcoming events and visit us in person when you are in Cornwall. The Prayer Garden is always open for personal reflection. Degibna Prayer Chapel is available for group bookings or personal use for prayer, quiet days, talks and similar activities. There is no charge, but a donation to cover costs is appreciated. 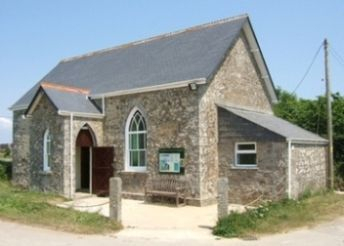 Degibna Prayer Chapel is part of The Lizard and Mount's Bay Methodist Circuit and the Cornwall Prayer Initiative.